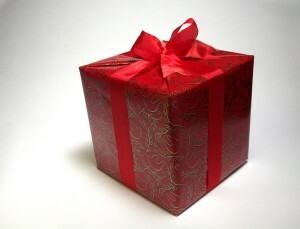 Give the gift that keeps on playing! 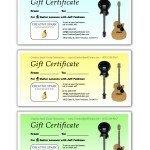 Gift certificates are available for all types of guitar lessons, and are great for both current guitar players and first timers. 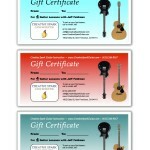 Many people buy gift certificates for friends and loved ones who have never played guitar, but might be curious about trying it out. 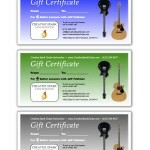 , with the number of lessons you’d like to pay for and the gift certificate color scheme you prefer. 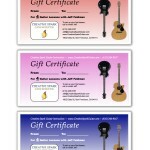 I’ll set it up for you right away and you can choose from either a PDF file of the certificate emailed to you, or a high-quality printed version that will be mailed to you. Any other questions? Feel free to include them in the email.